CAQH CORE Operating Rules set national responsibilities and requirements for timely, accurate electronic transactions within the healthcare revenue cycle. These operating rules address both the necessary infrastructure (such as response times, acknowledgements) and basic content (such as patient financial responsibility) needed to conduct the daily business of healthcare. The operating rules support further use of existing standards wherever possible and the vision of having all HIPAA transactions support true interoperability between all parties in the work flow. CAQH CORE began as a voluntary effort. As such, before any CAQH CORE Operating Rules were mandated, CAQH CORE drove voluntary adoption and maintenance of operating rules using a transparent approach that addressed both Substantive and Non-substantive updates. The mandated CAQH CORE Operating Rules support this process as well as the ability for CAQH CORE to conduct routine, periodic maintenance of specific federally adopted operating rule requirements, based on ongoing use, need and lessons learned. This model has proved successful for industry by allowing these three types of updates to complement one another, yet not overload the industry with constant updates or unnecessary overhauling. CAQH CORE believes that a cycle of maintenance for mandated operating rules and standards will help drive the CAQH CORE vision of an ever-evolving, improving system of electronic transactions. 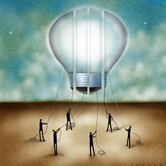 New or emerging industry needs are identified that impact an existing rule requirement. New versions of the ASC X12 Technical Report Type 3 Implementation Specifications (or other standards supported by the operating rules) are adopted under HIPAA or other Federal legislation/regulation. Input from industry has identified a possible ambiguity in an existing rule requirement which requires appropriate evaluation and a potential update. In the Phase III Rules, CORE-required Code Combinations for CORE-defined Business Scenarios addresses the combinations of the Claim Adjustment Reason Codes (CARCs), Remittance Advice Remark Codes (RARCs), and Claim Adjustment Group Codes (CAGCs) by identifying a limited set of CARC/RARC/CAGC combinations to be used in defined universal business scenarios. These codes are used in combination to convey details about a claim adjustment or denial in the X12 v5010 835 as required by the Phase III CAQH CORE 360 Uniform Use of Claim Adjustment Reason Codes and Remittance Advice Reason Codes (835) Rule. Current and prior versions of these CORE-required Code Combinations can be found HERE. In the Phase III Rules, EFT and ERA Enrollment Data Sets outline maximum sets of standard data elements to be collected by a health plan or its agent during provider enrollment in EFT and/or ERA per the CAQH CORE 380: EFT Enrollment Data Rule and the CAQH CORE 382: ERA Enrollment Data Rule. Phase IV CAQH CORE-required Processing Mode Table which specifies the Processing Mode (Real Time, Batch) for a given transaction addressed by the Phase IV CAQH CORE 470 Connectivity Rule. Phase IV CAQH CORE-required Payload Type Table which specifies the unique code to use to identify the type of payload in a connectivity message addressed by the Phase IV CAQH CORE 470 Connectivity Rule. As part of its commitment to address both infrastructure and content - and its commitment to maintenance overall - the CAQH CORE Board embraces the Review Committee formed by the Affordable Care Act (ACA). It is anticipated that the Review Committee will support the industry in its efforts to have regularly scheduled updates of both operating rules and standards, rather than waiting for approval of new legislation to make needed updates, which have previously focused on major overhauls. CAQH CORE also hopes the Review Committee will recognize the value of ongoing maintenance, when such an option is appropriate. The CAQH CORE processes to update and publish changes to either voluntary or mandated operating rules depends on the nature of the changes: substantive, non-substantive or routine, periodic maintenance that is an ongoing part of CAQH CORE’s regular work. Substantive changes in operating rules modify rule requirements and require implementers to update their systems. 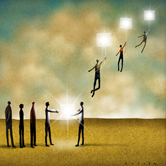 Substantive changes require the formal CAQH CORE voting process to be followed, which is an open and balanced process to assure a business need exists (as identified through previous work of the CAQH CORE Participants, public polling, periodic environmental scans/research and voting), work flow changes are feasible and rule requirements are technically feasible. 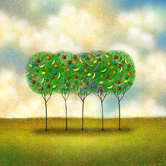 When substantive changes are under considerations by CAQH CORE the edited considerations are publically posted on CAQH CORE’s website and available for free. Requests for substantive changes can be sent to core@caqh.org; requests will be considered by CAQH CORE Participants and entered into a catalog of options by transaction that is then prioritized by the Participants, and for which public feedback is sought. If a request identifies an issue that may hinder or prevent industry implementation of an operating rule it will be prioritized and addressed by the appropriate CAQH CORE Subgroup. Non-substantive changes in operating rules are those that do not materially impact the entities that need to comply with the operating rules, such as adding explanatory text or removing content from operating rules that has been incorporated into a new mandated version of the underlying standard. Non-substantive changes do not require the formal CAQH CORE voting process; however, all edits are made publically available should there be any question that the edits are substantive. 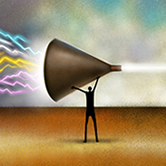 When a non-substantive change is made, the public is made aware and the versioning of the impacted CAQH CORE Operating Rule is updated accordingly. Periodic, routine maintenance does not change underlying rule requirements but does upgrade content requirements based on industry needs and lessons learned. This type of maintenance – which is focused on a specific rule requirement - requires a formal, transparent process of obtaining multi-stakeholder input. This process is being used successfully for the CAQH CORE Code Combinations Maintenance Process and for the EFT & ERA Enrollment Data Sets Maintenance Process. Such maintenance requires consistent, accessible and robust resources from the industry and support staff. 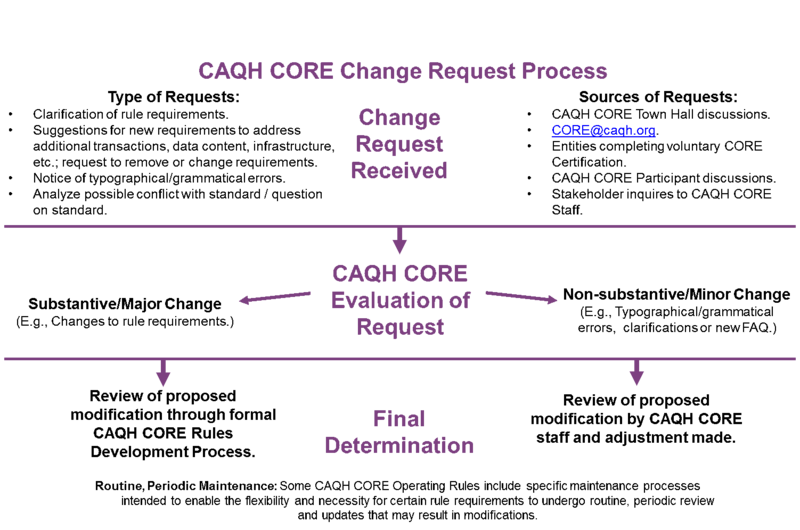 The CAQH CORE Operating Rule Change Process is depicted below. Key to effectively managing and maintaining these various potential CAQH CORE Operating Rule updates is the careful and precise assignment of version identifiers to the rules and any of their companion documents. This version identification scheme is shown below. For both its mandated and voluntary operating rules, CAQH CORE welcomes industry input into the development of potential new operating rules as well as ideas and suggestions for enhancements to existing operating rules. Potential new operating rules could address data content suggestions for HIPAA-mandated transactions as well as new operating rules addressing Administrative Simplification Transactions not mandated under HIPAA. For mandated operating rules, CAQH CORE actively participates with the ACA Review Committee, which meets every two years at NCVHS, by providing updates on status of existing rules and potential opportunities for improvements. Past CAQH CORE testimonies to the ACA Review Committee are publicly available and rely on key feedback mechanisms including public CAQH CORE surveys, CAQH CORE Subgroup feedback, CAQH CORE maintenance processes, and industry feedback received at core@caqh.org. CAQH CORE is committed to conducting substantive, non-substantive and routine maintenance on existing rules and also determining when the development of new rules that may or may not replace existing rules is appropriate. All contributions from the industry – including those from CAQH CORE Participating Organizations – are placed into catalogs which are used to identify and prioritize future CAQH CORE Operating Rule development and maintenance. CAQH CORE is committed to evolving this process given its vision that operating rules must meet the evolving needs of the industry. Such operating rule development and maintenance is conducted by CAQH CORE Participating Organizations and will be performed in accordance with the CAQH CORE Operating Rules Development Process and Guiding Principles.